Sliding windows from Feldco are unlike any other replacement window style. Their unique look helps them stand out and will improve the overall curb appeal of your home. You can choose from a two or three section slider depending on the size of your window opening. It’s extremely easy to open and close your sliding windows because they move on a track. This is why they’re great for hard to reach areas like above a kitchen sink. You can easily open your sliding windows with one finger. Unlike most other window styles, you can completely remove the glass and screen sashes from your sliding window frame. You’ll need to open your window, grab both sides, push up until the bottom of the sash comes out of the track and pull out. This makes cleaning your sliding windows extremely easy. You can clean both sides safely from inside your home. Sliding windows give you complete control over the air flow in your home. Our sliding windows can have two operating sashes. Open one or both of the sashes as much as you want and enjoy the fresh air entering your home. 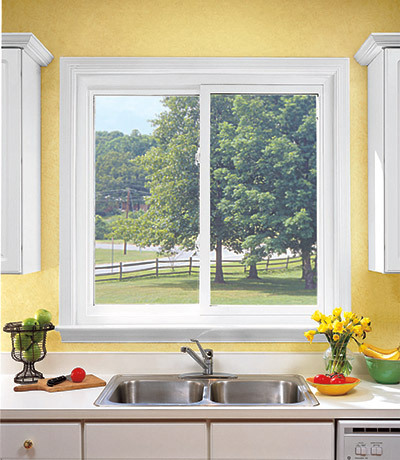 Like our double hung windows, our sliding windows have safety latches at 3 and 5 inches. These prevent your window from opening any further. This allows you to keep your windows open without worrying about someone breaking into your home or a child/pet getting hurt. Our sliding windows are made from energy efficient vinyl. They have double pane argon gas-filled glass and foam insulated frames. This prevents heat or air from escaping your home through the windows. This is important because you’ll save money on your energy bills. Your furnace and air conditioner will face less stress throughout the year as they’ll be using less power. Sliding windows are becoming a more popular window style. You can use them anywhere through the home. 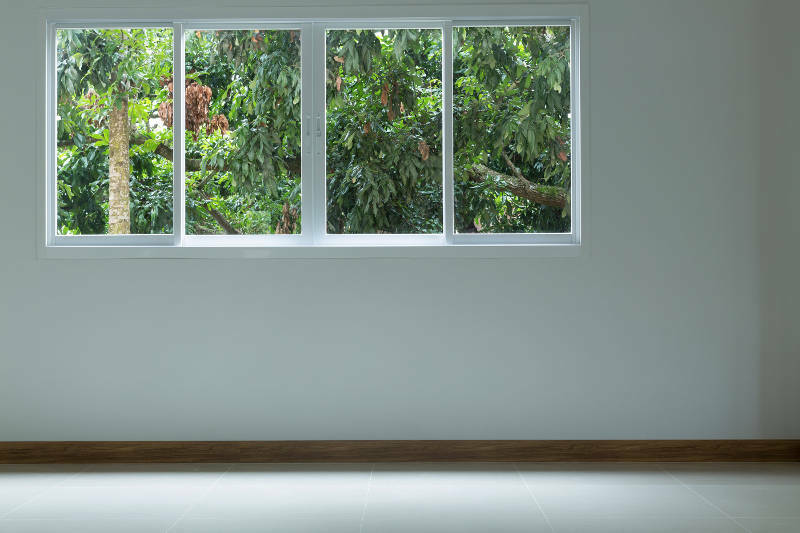 The most common places you find sliding windows are in the kitchen, bathroom, basement and bedroom. The choice is yours where you want to install your Feldco sliding windows.